The one and only plantain proven to work in four ways to reduce nitrogen leaching. Ecotain is the only scientifically proven plantain to work using four methods to dilute, reduce, delay and restrict N leaching. When it comes to N leaching management Ecotain is four steps in the right direction. Reducing N leaching is one thing, but doing it without compromising production is another. Ecotain is the only plantain that is capable of reducing nitrate leaching in four ways, so it's a superior product in that category. Being a quality bred plantain cultivar, Ecotain provides enhanced forage feed availability particularly in summer, kicking in when grass quality starts to drop off. Watch our science lead glenn judson explain the science behind ecotain and the on-farm benefits of using it. Research has demonstrated that not all plantains (current cultivars or breeding lines) are capable of reducing nitrate leaching through the four aspects Ecotain can – dilute, reduce, delay, restrict. In all other agronomic aspects, as well as environmental, Ecotain is an excellent example of a high quality, productive forage. Positive impact on milk production when grass quality drops in summer. Very similar DM quantity and quality to ryegrass pasture. Can add value in terms of both DM and quality to any farming system. Contributes invaluable DM production, typically at times of the year when ryegrass and other species, e.g. white clover, are not performing. 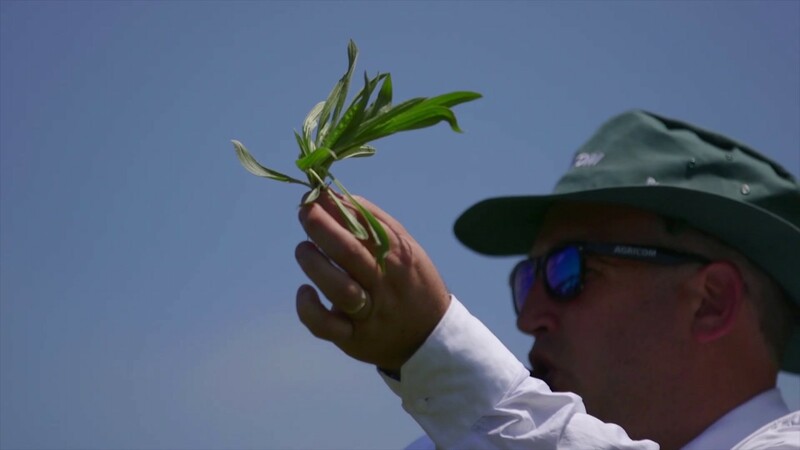 There is little compromise with Ecotain – it sets the standard both environmentally and agronomically. Dedicated weed control and grazing management. Maximum benefit from Ecotain. Slightly slower winter growth rates than ryegrass. Requires nitrogen fertiliser. Dedicated weed control and grazing management. High benefit from Ecotain. Increased nitrogen and benefit of clover filling sward gaps. Slightly slower winter growth rates than ryegrass. Potential bloat risk if clover dominates. Reduced weed control options. Increased pasture production and nutritive value in summer/autumn. Longer growing season. Grazing management cannot be optimised for all species. Quality of herbs diluted. Limited weed control options. Adapted from: Lee and Minneé, (2012). DairyNZ Technical Series, August 2012. Chicory and plantain - your questions answered.